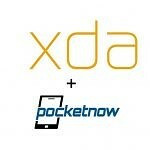 We’re super excited to announce that Pocketnow is now a part of XDA. This means that we will join one of our favorite YouTube channels in mobile tech with the most popular Android phone community. The sites will continue to operate separately, but you might see key Pocketnow content on XDA, or Pocketnow video hosts mention the best XDA portal articles, our apps, etc. Another thing we’re excited about is the launch of the Pocketnow Espanol (Spanish) YouTube channel, which will serve the spanish-speaking members of our community. Be sure you also check out the Pocketnow Weekly podcast, which will soon undergo major improvements. We intend to continue to run XDA TV, which will remain home to our more technical videos. The Pocketnow video channel will stay focused on what it does best, which is daily recaps, reviews, event coverage and more. The only change is that there might be new hosts and more content as we try to improve Pocketnow’s video efforts beyond where it is today.